Over 1/2 million people in America have their gallbladders removed every year. Is it necessary? Sometimes it is absolutely necessary, but not always. How do you know for sure? That's not easy to determine. Most doctors advise gallbladder removal with any diagnosis of a gallbladder problem. 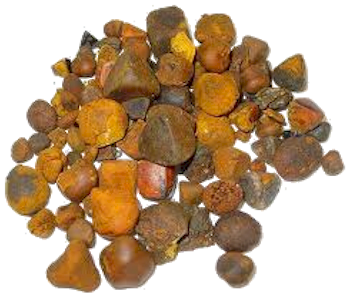 Large gallstones, small gallstones, low-functioning gallbladder, few symptoms, no symptoms. If the diagnosis warrants surgery, you are advised to take it out. But the same diagnosis in thousands of people does not mean the same condition exists. For example, gallstones can be silent which means you are unaware of any probelm going on. There are no symptoms at all and the gallstones are found by routine lab tests done for a separate issue. Gallstones should be treated only if they cause symptoms. For recurrent gallbladder attacks, the most effective treatment is surgical removal of the gallbladder, or cholecystectomy. The traditional procedure is a major surgery requiring a five-inch incision and a hospital stay of up to a week. Fortunately, it has been largely replaced by laparoscopic cholecystectomy, in which the surgeon removes the gallbladder with instruments inserted through small incisions in the skin, below the liver. This procedure requires only an overnight hospital stay and a week of recovery at home. If you do opt for gallbladder removal, will your digestion be perfect afterwards? That's what everybody's hoping for, to be pain free, gas free, and bloat-free. You have a 60% chance of that happening. Out of every 10 cholecystectomies, 4 people will still have symtpoms. Those symptoms are rarely, if ever, equal to that of the previous gallbladder attack. They are more often discomfort, or dull pain. But you need to be aware. One of the side effects of gallbladder removal can be the dumping of bile which is now not as easily regulated and can send someone running to the bathroom immediately after eating. A more common side effect is a decrease in the secretion of bile. If the bile produced by the liver becomes thick and sluggish, painful symptoms and bile stones can occur. Bile stones can form in the liver as well as the gallbladder. 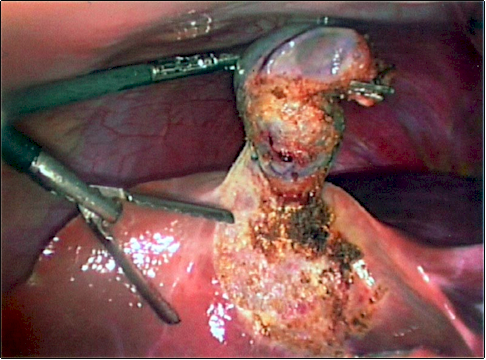 One woman had her gallbladder removed only to end up back in surgery again two or three days later where they found stones in the bile ducts of the liver causing her alot of pain. However, removing the gallbladder may be an absolute medical necessity. But, unless it is diseased, ruptured or otherwise sick, know that just having cholelithiasis or gallbladder stones does not mean you have to take it out. If you have gallbladder attacks, pain or discomfort or digestive problems but not a diseased gallbladder, this does not mean you necessarily have to have gallbladder surgery. Get a second opinion. You do have an option of cleaning up your diet, doing some work on your gallbladder and liver and keeping your organ of fat digestion.